The value is added to the product by the time of production and the cost of the value earned from the end customers and so is for the services as well. The Saudi Cabinet announced that GCC nations agreed on unified “GCC UAVAT” where UAVAT stands for “the Unified Agreement for Value Added Tax”. It is initially a framework agreement that will be gradually concluded by all six GCC nations. The rate of VAT has been confirmed at 5 per cent, a figure that was agreed at GCC level in mid-2016. The purpose served by single entity “GCC UAVAT” is just to bring Vat law in effect in very coordinated manner in all six nations without any condition to resemblance of VAT laws of nations or time to enforce the national VAT law and it will be in effect before the predefined deadline i.e. January 1st of the year 2019. UAE is to enforce the VAT as national law on 1st January 2018. His Excellency Obaid Humaid Al Tayer the UAE Minister of State for Financial Affairs, has stated that the UAE will implement VAT at the rate of 5%. The government is expecting VAT implementation as long-standing plans for economical expansion away from oil, disturbig social and economic programmes. 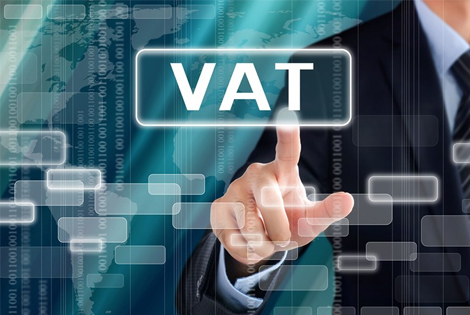 The exact details of the VAT regime which will need to be set out in the common framework and national legislation are yet to be made available. It is the tax borne by the consumer of both goods or services and could be defined as multi point sales tax of which the payment is fixed to be done by the time of purchases. It is the tax almost added to everything you buy including goods or services. The businesses collect VAT from you and return it to government by paying VAT on what they purchase. The VAT is a tax payable only on value added to commodities and on the services rendered. VAT covers at all three levels manufacturing, wholesaling and retailing. It is general tax that applies, in principle, to all profit oriented activities properly indulged in production & distribution or services. VAT is chargeable to at each level of supply chain. VAT is applied to the end consumers or on the product and services which are not tend to further sale. Consumer pay VAT as a net cost. Private commercial entities have also to pay VAT and also they manage negative cash flows on account of pending recovery of VAT from tax authorities. VAT is preferred means of raising public revenue across the globe. Imposing Tax at each stage of sale ensures better compliance and reduces exploitation by reducing loopholes. The amount received by the seller as a percentage of the gross sale price of goods or services. The amount paid by buyer as a percentage of gross of purchase price for goods or services used in production. The transactions in which the sellers collect no output tax and the corresponding input tax is fully refundable, the exports are zero rated. For example exports, healthcare, education, international transport of passengers and goods, the first sale of residential property, medicine, and medical equipment, investment in gold, silver and platinum etc. The transactions in which the sellers collect no output tax and the corresponding input tax is non-refundable and absorbed by the seller for eg. Financial services are commonly exempted. For example: bare land, local transport, the sale of residential property (second sale onwards) and lease of the residential property. It is a person who is or should be registered for VAT. It is an activity being practiced continuously and regularly, including commercial, industrial, agricultural, professional, service activities, or any usage of material and non-material property and any similar activity. UAE is intending to follow the credit Invoice method of VAT and rate is expected to be @ 5% will be enforced in January 2018. This method is “transaction based”. It provides flexibility to tax authorities. Tax authorities can levy various rates of tax for different goods and services. 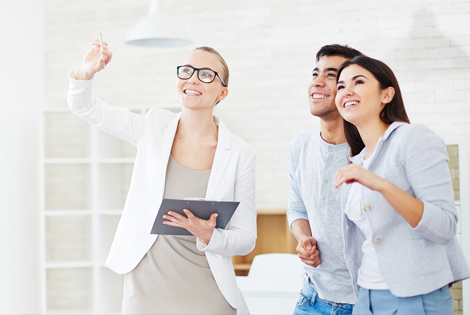 Full scale price & credit is given for the tax paid on purchase made. Effectively tax is levied on value addition only. It is easy and simple method of computation of value addition. At the time of sale of goods or services, traders issue an invoice which contains the details of VAT. Tax invoices will be required to be issued within 14 days and up to 12 items will be specified as required on a Tax invoice. If the seller of the services or goods is not from GCC then businesses not have to physically pay VAT at the point of Import. The responsibility is passed to the buyer for Input VAT and Output VAT reporting. Seller is set free from obligations of UAE VAT law. The business will not have to pay VAT physically at the point of import. Any import of goods will be the subject to reverse charge. The goods imported through UAE to any other GCC nation will not be the subject to reverse charge. The VAT will be charged at first point of entry of GCC Custom Union on Import. If import is done through UAE then there is no Input VAT but it will be sought from the destined state authority. If import is done under the effect of reverse charge to UAE and then is supplied to GCC then the business will be the subject to the input VAT initially recovered under reverse charge paid to the UAE Federal Tax Authority. Registration will open towards the end of Q3 2017. If the annual turnover of the company is exceeding the figure AED 375,000/- or USD 100,000/- comes under the provision of this registration. If the annual turnover of the company is exceeding the figure AED 187,500/- or USD 50,000/- comes under the provision of this registration. On reaching the turnover mandate amount for VAT registration purpose, value of exempted supply will not be considered. It is expected that UAE law will include the concept of ‘VAT groups’ formed by two or more companies which are controlled by a single taxable person or more than one persons carrying on a business should potentially be able to apply for a VAT Group regime and be treated as a single taxable person for VAT purposes, under terms and conditions defined by the VAT Law. The requirement of VAT includes record keeping in respect of all business transactions, should be maintained for five years. 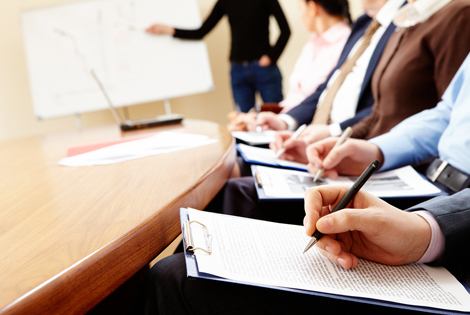 We have designed a suitable curriculum based on the organizational structure and need of the management with accounts & finance departments, we provide training on Value Added Tax (VAT) to all the personnel of the organization who are coming under VAT compliance chain to train for Entrepreneurs, Accountants, Auditors and Finance Professionals. Expected process for Financial Institutions, Real Estate Sector and Legal Firms etc. VAT is seen as an effective tool in raising revenue to achieve government objectives whilst preserving the neutrality for business. If it is designed and operated correctly and efficiently it can provide significant revenues with limited administrative costs and impact on business. We calculate whether your company is under VAT law mandates or not based to the turnover. Understanding the likely impact of VAT on demand for goods and services and competitors' responses. Ensuring that the accounts payable function evidences that VAT paid and is recovered as quickly as possible. Ensuring that the account receivable function understands when VAT should and should not be charged, and it is accurately accounted for. 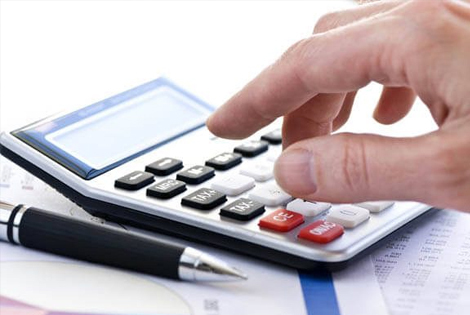 We will work with suitable accounting software tools like accounting software with VAT module. We will work on manual VAT accounting processes if no central ERP system is used. Our team acts for businesses like accounts Department, IT (Information System) Department and Documents Controlling division or else we train these departments on behalf of owners. We help you to get registered (probably in the third quarter of the year 2017). The proper records are maintained in the company and VAT returns are filled (quarterly) within the due dates as per the Law. 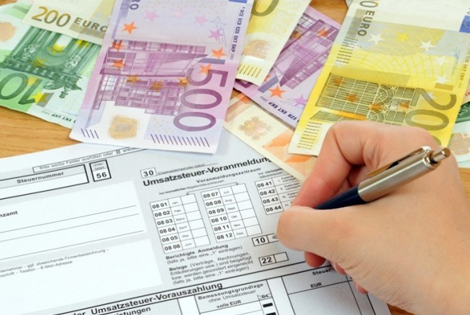 We do Tax planning after analyzing the operational activities that includes. - Generating options to take maximum input tax credit of the purchases, services and expenses. - We are in preparatory to make company face new challenges under VAT. A direct tax It is collected by the government from the person on whom it is imposed (e.g., income tax, corporate tax). Indirect tax – It is collected by an intermediary (e.g. a retail or wholesale store etc.) from the person that ultimately pays the tax (e.g., VAT, Sales Tax, GST, etc.) and paid to the government. An indirect tax – a tax paid to the government by one entity in the supply chain, but it is passed on to the consumer as part of the price of a good or service. The consumer is ultimately paying the tax (e.g., VAT, Sales Tax, GST, etc.) by paying more for the product. VAT is one of the most common types of consumption tax found around the world. Over 150 countries have implemented VAT all over the world. It includes all the 28 countries who are members of the European Union (EU) apart from Britain, Canada, New Zealand, Australia, Singapore, and Malaysia. USA does not have VAT. VAT is charged at each step of the ‘supply chain’. Ultimate consumers generally bear the VAT cost. The Businesses act as tax collector for the government authorities. They collect, account and pay the tax to the government. A business pays the government the net of the tax. I.e. the net amount after deducting the tax paid to the suppliers from the tax collected from the customers. This net result is that tax revenue to a government authority that reflects the ‘value added’ throughout the supply chain. For the public there may not be any noticeable difference between the VAT & Sales Tax. But there exist some key differences. In many countries, sales taxes are only imposed on transactions involving goods. Further sales tax is imposed only on the final sale to the consumer. This contrast with VAT is that it is imposed on goods and services in an incremental manner and is charged throughout the supply chain, including on the final sale. In other words, VAT is levied on both producer and consumer where as Sales Tax is levied only on the end consumer. 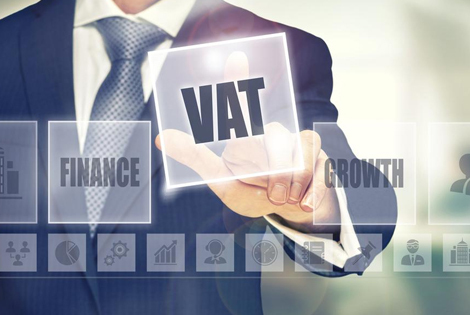 VAT is also imposed on imports of goods and services and hence it ensures that business interest on price levels of the domestic providers of those same goods and services are considered. VAT needs strict accounting practices and system in the business where as Sales Tax doesn’t need require such strictness. The chance of tax evasion is much less in case of VAT as compared to Sales Tax where tax evasion is rampant and difficult to detect. One of the main objectives of the UAE Federal Government as well as the respective Emirate Governments for introducing VAT is to generate more revenue for providing enhanced support to the citizens and residents by offering various types of public services – including medical facilities like hospitals, good roads and transportation facilities like metro services, public schools, parks, waste control etc. The expenses of these services are borne by the government from its public funds which are ear marked in the budgets. VAT will provide a new source of non oil revenue for the emirates which will increase the revenue towards the Government exchequer. The will help the Government for providing better and high-quality public services in the future thereby enhancing the living standard of the public. VAT will also result in increase in the government non oil revenue which is estimated to be around 2% of the GDP. VAT, as a general consumption tax, will apply to the majority of transactions in goods and services. Some specific items like sale of bare land, local transport etc. are exempted from VAT. Whether cost of living will increase in UAE? The hike in price depends upon the sector of the product and services which are taken into account for consideration. The burden of VAT or any other form of taxation needs to be borne by someone – either the business or consumers or both. The market will decide whether the consumer will bear the cost or the trader/manufacturer. Naturally, in the case of sellers’ market, the traders will impose the tax burden to the end consumers and to that extent the cost of living of the individuals is likely to increase. But, in the case of buyers’ market, the cost of VAT will automatically borne by the trader/manufacturer to some extent. They cannot pass it to the consumers fully. In short, there is a likelihood that the cost of living may go up in the UAE. But this will vary depending upon the individual’s spending pattern and lifestyle. When are the VAT returns to be filed? Whether UAE tourists also have to pay VAT here? Every customer, irrespective of the fact whether he is a resident or a tourist, has to pay UAE VAT if he is consuming the VAT applicable goods or services. 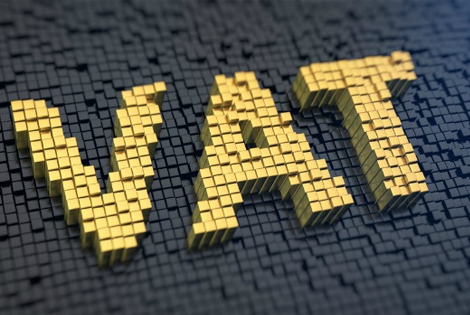 Who will all come under VAT registration? The requirement of VAT registration is based on the annual turnover of each company. It is mandatory for a business enterprise to register for VAT if its annual turnover is above $ 100,000/ (Hundred thousand USD). However, the registration for VAT is optional in case of business units having annual turnover between USD 50,000/ and USD 100,000. The Government has made this decision to safeguard small businesses from the cumbersome procedure of extensive documentation and reporting system that is going to be implemented under UAE VAT. What are the responsibilities of business entities once VAT is implemented? - Registered for UAE VAT or not should maintain proper records of their business transactions and ensure that all financial records are accurate and up to date. - Should register under UAE VATif they are coming under eligibility criteria based on turnover. - All UAE VATregistered business entities should charge VAT on taxable goods or services they supply. - AllUAEVATregistered business entities may reclaim any VAT they have paid on goods or services within the country. - Should maintain correct and accurate business records for government scrutiny to ensure that that business entities adhere to the mandatory requirement stipulated by the UAE VAT Law. - All VATregistered business entities must report the amount of VAT they collected and the amount they paid to the government on a regular basis. The Tax authority will open an online portal for submitting this record on a periodic basis (called VAT return). - VAT charged on customers are more than the amount charged by the supplier and service providers, then the excess amount collected has to be paid to the VAT authority. Similarly, if the amount of VAT on the purchases and service providers are more than the amount charged on customers, the refund can be claimed for the difference. - Check whether they come under the mandatory VAT registration category or not. - For complying with the VAT requirements, every organization has to make necessary changes to their existing financial management and accounting system, accounting software, and sometimes even to their core operation style. - Human resource training will be necessary to update and upgrade the staff to equip themselves to the new UAE VAT regulatory requirements. Whether Income Tax will also come intoeffect in UAE? Is VAT applicable for the construction industry? VAT is applicable to the Construction industry in the same way as they are applicable to the other industries. What is the effect of VAT in existing long Contracts? The contracts already signed before the date of implementation of VAT and which are likely to be extended to the period in which VAT is applicable are to be revised to take into account of VAT impact.